Designed for quick inflation of air beds, air tracks and any inflatable equipment. 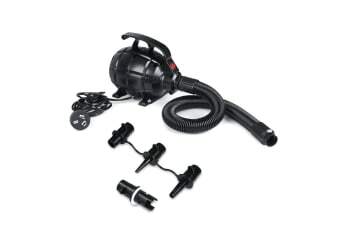 With a 500W motor, the AC-powered pump comes with three nozzles for different applications. The compact design is lightweight and portable to allow use in any location. 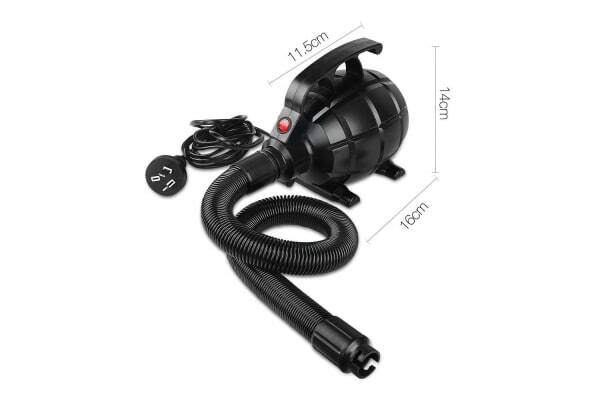 Further, the air pump includes a hose and plug.